“Fast Five” star Ludacris is helping launch an effort serving the students in the Recovery District of New Orleans. Global bookstore Better World Books and teen not-for-profit DoSomething.org are launching an “Epic Book Drive” initiative, which will empower young people nationwide to run community book drives to re-stock libraries in New Orleans’ Recovery School District. Better World Books will provide free shipping to all groups organizing drives and will schedule a pick-up for any group that collects over 150 full cartons of books. “Our partnership with DoSomething.org and the New Orleans’ Recovery School District is a perfect fit for us. Our mission is to support literacy initiatives worldwide and our operations are large enough to handle a national program of this scale. We look forward to seeing students all over the country band together and make this book drive as EPIC as the name implies,” says Chris Johnson, Vice President of Better World Books. The initiative launches with a new Public Service Announcement (PSA) from actor and Grammy Award-winning recording artist Ludacris. In the video, Ludacris invites viewers into his library to talk about the need for universal access to books. The versatile artist, who stars in the upcoming film “Fast Five,” challenges teens around the country to step up and collect books for the students in the New Orleans’ Recovery School District. 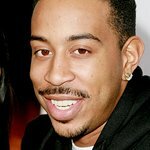 “I am proud to be a spokesperson for this initiative as it’s in line with my dedication to empowering young people,” explains Ludacris. The campaign is giving something as simple as a book to a student in a much needed area like the Recovery District so they can have the opportunity to read, communicate and be inspired. Sharing in this way will have an incredible impact on the confidence and abilities of the next generation of leaders and I’m excited to be leading the charge." To view his PSA, click here. In New Orleans’ low-income neighborhoods there is 1 book per 300 children. With over 80% of schools damaged by Hurricane Katrina and a high correlation between high school graduation and literacy rates, the need is greater than ever. The Recovery School District is designed to take underperforming schools and transform them into successful places for children to learn. The District currently serves over 30,000 students in 69 traditional public and public charter schools. “Oh the places your books can go!” says DoSomething.org CEO and Chief Old Person, Nancy Lublin, who happens to be a major Dr. Seuss fan. Starting Friday, April 1st until Sunday, May 15th, teens are encouraged to register their book drives online and start collecting in their schools and communities. Better World Books and DoSomething.org will make sure students can send books free of charge to Better World Books’ headquarters where they will be sorted for donation and re-sale. A portion of the proceeds from all book sales will be donated to the Recovery School District to purchase brand new books. Any books that are not suitable for donation or re-sale will be recycled. Better World Books has re-used or recycled over 53 Million pounds of books to date. Students who collect more than 150 full cartons of books will receive a banner for their school and recognition on the DoSomething.org web site. The school collecting the most books will win a $1000 donation to their school library and a party for their entire school. Participating teens will also have the chance to win a $500 college scholarship, along with signed books from celebrities including Ludacris. To get involved or for more information, visit EpicBookDrive.com.